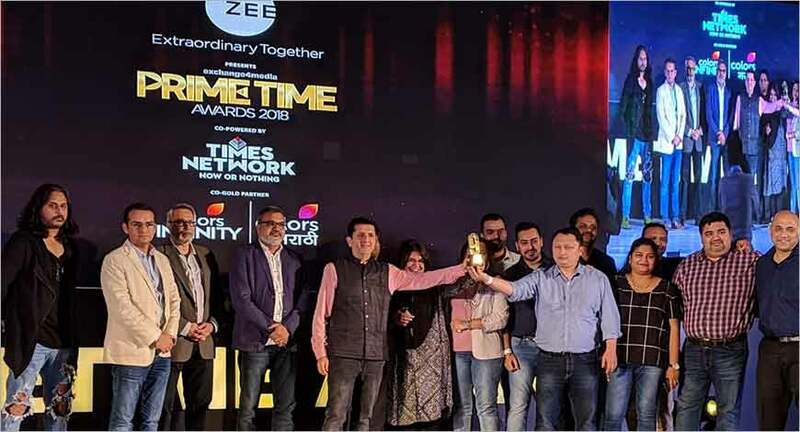 The fifth edition of the Prime Time Awards, an initiative by exchange4media, once again recognised the outstanding work done by brands, agencies, and broadcasters on TV campaigns. While Mindshare was adjudged the Media Agency of the Year with eight Gold medals, Hindustan Unilever Limited too with eight Golds bagged the Advertiser of the Year award. Mindshare Fulcrum’s campaign ‘Breaking Barriers over a cup of Tea’ won several recognitions — Best Campaign, Best Integrated TV Campaign, Best Use of Influencers/Celebrities and Best Use of Sports Channel. Zee Entertainment Enterprises Limited (ZEEL), Policybazaar.com, Cipla Health Ltd., Diageo India, Helios Media Private Limited and Sony Pictures Networks India Pvt. Ltd. emerged as the other big winners. In all, 60 medals were given away at the event. The winners were divided into 4 main categories and 27 sub-categories. The awards function was held at the ITC Maratha in Mumbai on Thursday.